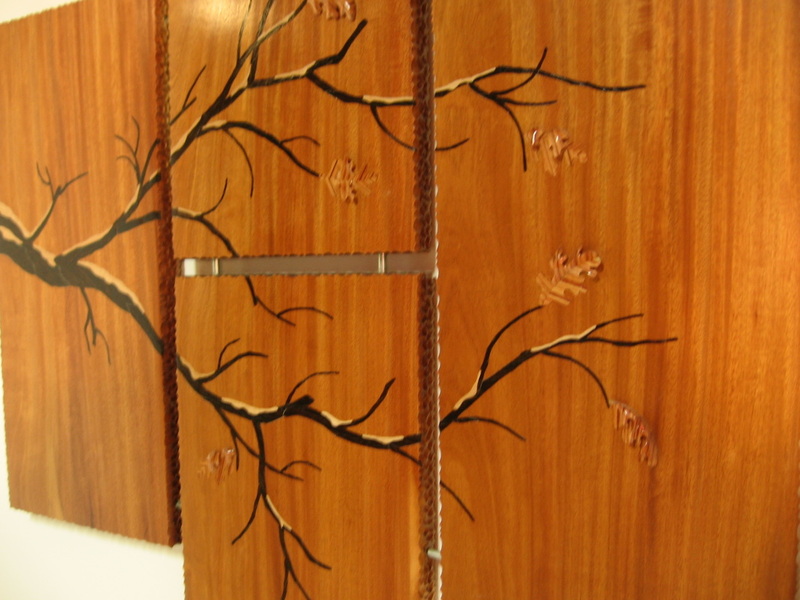 Santo Mahogany (Brazil) panels, the inlays are Wenge (Cameroon) Branches and Maple (America) snow. 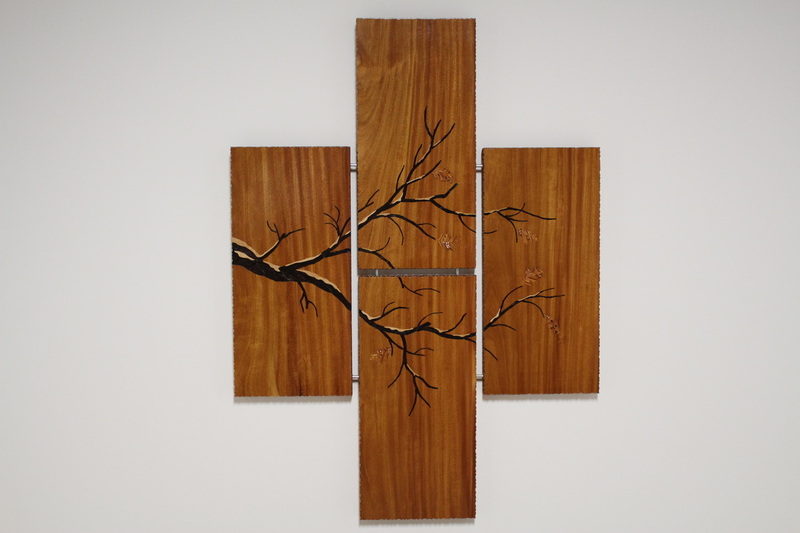 The inlaid and 3-dimensional leaves are made of Tuilip wood (Brazil). 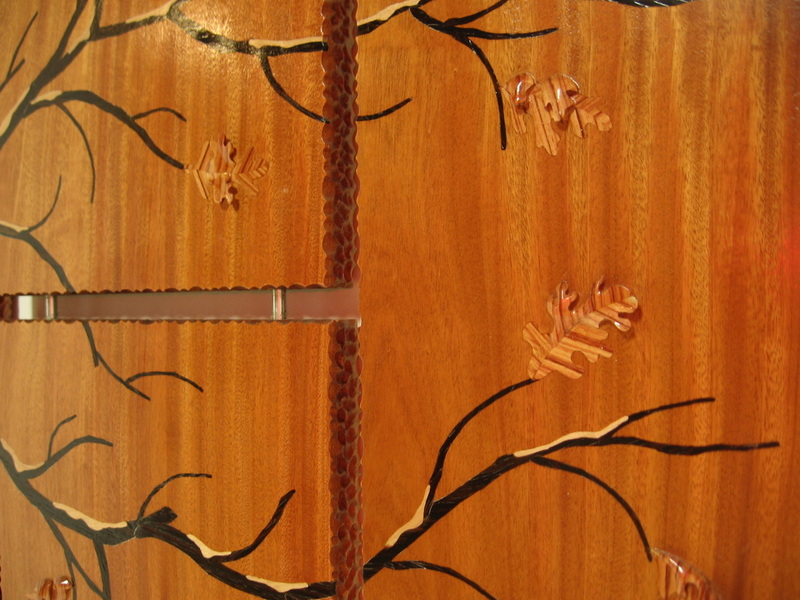 Finished with the hand carved edge. size 41" x 30"